Karrie Healy, 48, of Schuyler, died in a motor vehicle accident north of Schuyler on Wednesday, October 31, 2018. 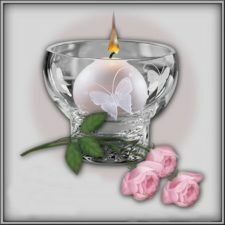 Mass of Christian Burial Tuesday, November 6, 2018 10:30 A.M.
Karrie (Heavican) Healy was born June 7, 1970, in Columbus, Nebraska. 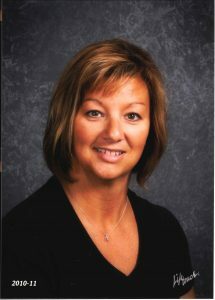 She graduated from Schuyler Central High School in 1988, earned her bachelor’s degree in education from UNL, and her masters in curriculum and instruction from Wayne State College. Karrie was married to Dan Healy on June 20, 1998, at St. Augustine’s Church in Schuyler. They have two children, Kameryn (18) and Nolan (16). Karrie touched the lives of many people in the Schuyler community. The love she shared for every child in town was only surpassed by the love she had for her own. She spent the first 8 years of her teaching career in Butler County rural schools, and the last 17 years at Schuyler community schools. Along with teaching, she was a member of the Warrior Booster Club and coached the Warrior dance team. She had the heart of a Warrior and showed her love by supporting the Warriors through every season, capturing every moment with her camera. She started dancing when she was 3 years old, and was involved with the local dance studio in many capacities since it began. She enjoyed traveling, spending time on the beach, tailgating, and attending Husker games with friends and family. Karrie is survived by her husband, Dan of Schuyler, daughter, Kameryn, and son, Nolan; parents Charles and Kathy Heavican; siblings Kim (Kurt) Shevlin of Columbus, Clayton (Traci) Heavican of Gretna, Nicholas (Quynh) Heavican of New York, Katie (Corey) Shultz of Schuyler, Thomas Heavican of Schuyler; in-laws Jane Healy of Omaha, Tim (Carrie) Healy of Chicago, Gina (Al) Miller of Omaha; 17 nieces and nephews, Mollie, Emily, Maclain, EllaMay, Maggie and Eddie Shevlin, Colby, Connor, and Callan Heavican, Desta and Tian Heavican , HayLee Heavican, and Baby Shultz, Madison and Kennedy Healy, and Megan and Morgan Miller. She was preceded in death by her grandparents Bill and Bonnie Hulsey, Joe and Adelle Heavican, and parents-in-law Mart and Virginia Healy.